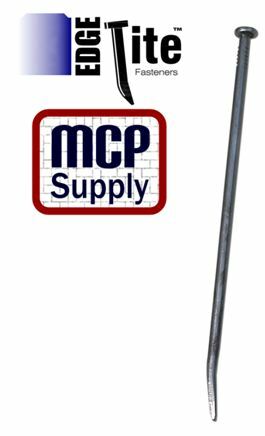 MCP Supply is a distributor of paver edging spikes. 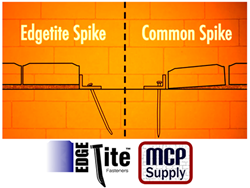 MCP Supply, a distributor of the Edgetite, offers paver edging spikes that makes paver edging installations stronger. The paver edging spikes help solve the separation problem that can occur when installing paver edging with common spikes. They were created from firsthand experience when Jeff Goodman, a landscape/hardscape contractor with 25 years of experience, continually encountered this problem while installing paver edging. After growing tired of seeing and repairing failed brick edging for years, he felt there had to be a way to solve this problem. Edgetite™ paver edging spikes were created with this in mind. Edgetite™ paver edging spikes are unique because of the patent pending angled tip design. 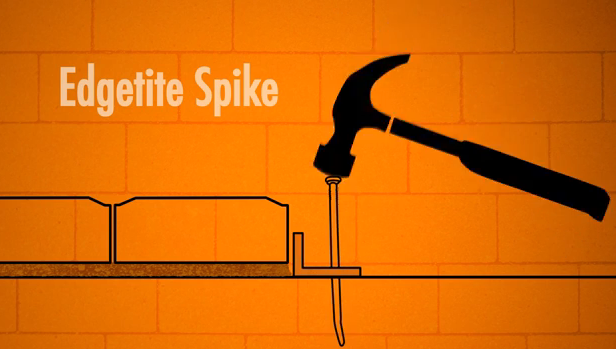 As an edging spike is hammered into the compacted base the angled tip deflects away from the installation while the head pushes the edge restraint tightly against the brick. The angled final position of an installed paver spike resists frost heave while adding strength and longevity to your brick project. When Mr. Goodman pounded in his first Edgetite™ paver edging spike, the result was amazing. The tip deflected away while the head firmly secured the edging to the brick. 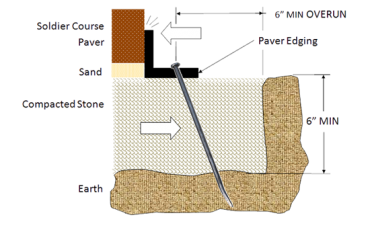 Now an old installation problem has a solution and the brick paver edging industry has an ally. 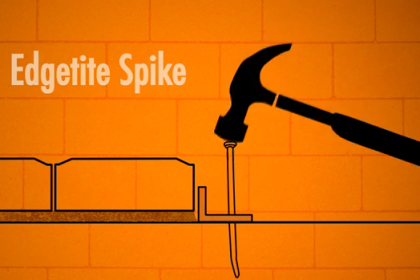 Ask your local Landscape Supply dealer about Edgetite™ paver spikes. See videos showing how Edgetite™ spikes work visit www.mcpsupply.com.